Today Expert Voices contributors Patrick Lozada looks at China's developing AV policy and Alex Gruden examines what it will take to enable wireless charging of electric AVs. Situational awareness: Tesla will cut its workforce by roughly 7% as it ramps up Model 3 production, CEO Elon Musk says in company update Friday. Traditional SUVs and sports cars were the stars at this week's Detroit auto show, but behind the scenes, some auto industry executives openly fretted about an uncertain future, including big questions about whether society is ready for self-driving cars. Yes, but: Safety advocates say automakers have no one to blame but themselves for the fact that the public is wary of AVs. China’s Ministry of Industry and Information Technology (MIIT) last month released a sprawling roadmap for AV development that named an “Internet of Vehicles Development Commission” to lead work on AV policy, China business consultant Patrick Lozada writes for Axios Expert Voices. Background: The commission's head, Miao Wei, is the minister of MIIT and the architect of the Made in China 2025 plan, which set detailed targets for replacing foreign technology with domestic substitutes. The plan has drawn international criticism for acting as a barrier to trade and violating WTO rules. Eliminating its targets has been a goal of the U.S. in bilateral trade negotiations. Develop an AV demonstration zone in the Xiong’an New Area, where an AV-enabled metropolis is planned. Expand infrastructure for vehicle-to-everything (V2X) technology. Increase financial and policy support for Chinese companies producing core technologies like telematics and sensors. Lozada is a director in the China practice of Albright Stonebridge, a strategic advisory and commercial diplomacy firm. 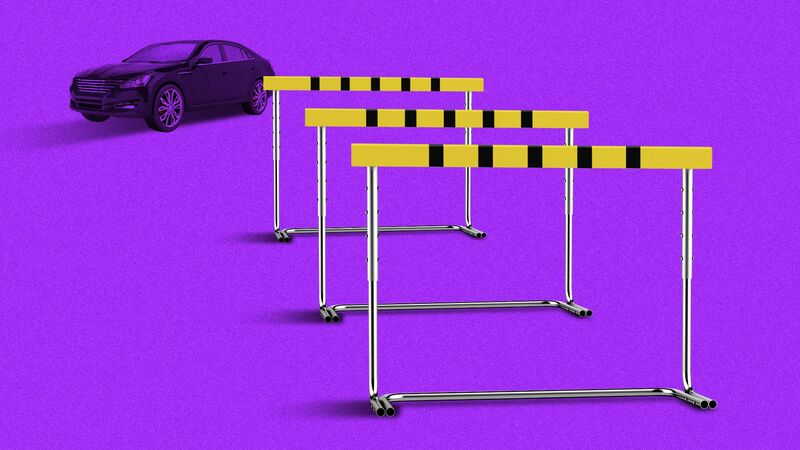 A new McKinsey report examines the potential climate impact of autonomous vehicles and ride-sharing, based on what city planners do, Axios' Ben Geman writes. In essence, under "seamless mobility," they see people traveling further per year than under their other scenarios, yet more efficiently and cleanly. What's next: The report lays out dozens of ways for cities to help manage population growth and the rise of autonomy, including using AV shuttles, electric scooters and bikes to connect people to mass transit, shifting commercial deliveries to off-peak hours, and creating low- or zero-emissions zones. Go deeper: Read Ben's entire piece. Newly introduced electric vehicles are capable of charging wirelessly rather than tethered to a power cable, a technology that could one day help autonomous EVs stay running around the clock, entrepreneur and former Dell executive Alex Gruzen writes for Axios. How it works: These systems rely on resonant charging, which transfers electricity across an air gap between two magnetic coils and then to the vehicle's battery. It's a larger-scale version of technology already available for cellphones. Go deeper: Read the Expert Voices piece. Gruzen is the CEO of WiTricity, which develops technologies for wireless energy transfer. Details: Ford CEO Jim Hackett says the ride-sharing shuttle was ahead of its time, but insists the experience will help shape future mobility efforts. Ford has already moved on to scooters with its recent purchase of Spin, as Axios' Kia Kokalitcheva scooped back in November. Why it matters: Lidar is considered an essential sensor for self-driving cars, but if the laser in AEye's system was so powerful it burned a CES visitor's camera, what might it do to cameras in oncoming vehicles? The company told Ars Technica its sensors pose no danger to human eyes, but acknowledged camera safety is an issue that needs addressing. My thought bubble: If you think it's hard for cars to drive themselves on flat roads, imagine how hard it is for boats to navigate rough seas autonomously. It's the middle of January and I'm tooling around Detroit in a two-seat Mazda Miata MX-5 RF convertible. There's something depressing about driving a droptop in the dead of winter. You want nothing more than to fold down the top and feel the breeze in your hair. The bottom line: I found myself wishing for a blizzard so I could play around in the snow drifts. Sadly, I have to give it back today, just as a half-foot of snow is predicted.